WASHINGTON — Amid the reshuffling of the Defense Department’s senior leaders, 26 senators from both sides of the aisle are urging the acting defense secretary not to drop the ball on the Pentagon audit. The Jan. 30 letter from members of the Senate Armed Services and Budget committees, comes as the point man on the audit, Pentagon Comptroller David Norquist, has been moved up to serve as acting deputy defense secretary. The Pentagon’s No. 2, Patrick Shanahan, has been acting defense secretary since Jim Mattis exited Jan. 1. “It is imperative that subsequent, annual audits continue as planned,” reads the letter addressed to Shanahan. The lead authors are Sens. David Perdue, R-Ga., and Angus King, a Maine Independent who caucuses with Democrats. Perdue chairs the Senate Armed Services Subcommittee on Seapower, and King is the ranking member of the Subcommittee on Airland. While the lawmakers do not mention the shakeup at the Pentagon, they do ask that Shanahan commit to completing the full audit of the Defense Department within fiscal 2019, which ends in eight months, on Oct. 1. 1,150 auditors worked over the last year digging through the department, but what did they find? After decades of Congress demanding action, the Pentagon completed its first-ever audit last year. The audit consisted of 21 individual efforts, with only five of those receiving “passing” grades — technically, a failing grade. However, department officials say there was no expectation that the audit would be clean on the first go-round, given the size and scope of the project. 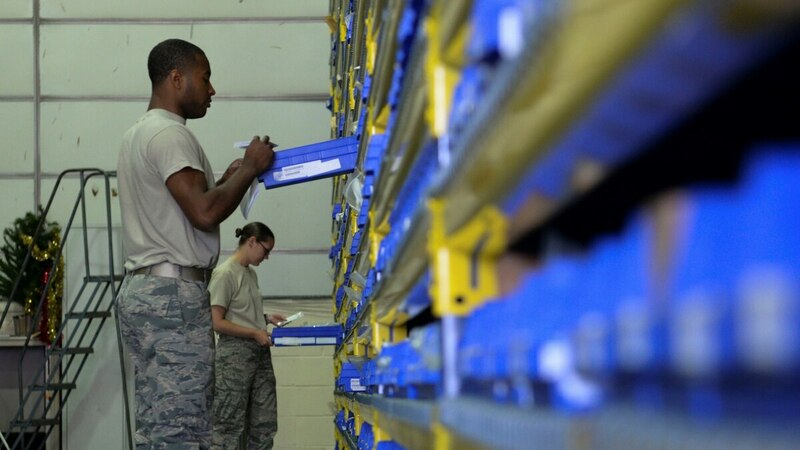 The first audit was focused on getting the lay of the land, in some cases quite literally, by identifying what systems are talking to one another and where there may be gaps in inventory tracking. Now, in year two, Norquist has three target areas on which to focus. The first is structural inventory on bases — knowing what buildings are really there, and in what shape. The second is improving inventory tracking to understand the location and age of equipment. “The direct benefit to readiness is so clear that we want to make sure that we keep that up,” Norquist said. The third focus is on the security of information technology, which Norquist said late last year was the biggest issue identified by the first audit, and something he called a “multiyear” problem to tackle. Norquist acknowledged evening out those sums of money will not be a one-year solution, but urged patience in his comments. “We don’t need the audit to be the department’s priority. It just has to stay a department priority, and then you can keep moving forward,” Norquist added. Beyond King and Perdue, the letter is signed by the Senate Budget Committee’s chairman, Sen. Mike Enzi, R-Wyo. ; ranking member Sen. Bernie Sanders, I-Vt.; and members Mike Crapo, R-Idaho; John Kennedy, R-La. ; Ron Johnson, R-Wis.; Pat Toomey, R-Pa.; Chris Van Hollen, D-Md. ; and Ron Wyden, D-Ore. The following SASC members also signed: Sens. Marsha Blackburn, R-Tenn.; Richard Blumenthal, D-Conn.; Mike Braun, R-Ind. ; Tom Cotton, R-Ark. ; Kevin Cramer, R-N.D.; Tammy Duckworth, D-Ill.; Joni Ernst, R-Iowa; Tim Kaine, D-Va.; Doug Jones, D-Ala.; Joe Manchin, D-W.V. ; Gary Peters, D-Mich.; Mike Rounds, R-S.D. ; Rick Scott, R-Fla.; Jeanne Shaheen, D-N.H.; Dan Sullivan, R-Alaska; and Elizabeth Warren, D-Mass.